Susan Marynowski (M.S.) grew up in north Florida. 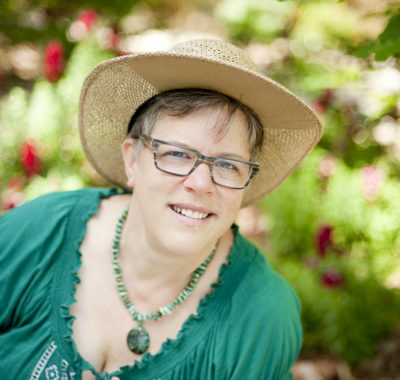 Susan has a passionate interest in native plants and has been a perpetual student of the patterns of plants, people, and healing for over 25 years. She is a member of the American Herbalists Guild and maintains a small practice and teaching program in Gainesville. Susan has studied and mentored with Tieraona LowDog, Susun Weed, David Winston, Patricia Howell, Thomas Easley, and other esteemed herbalists. She holds degrees in fine arts and wildlife ecology, with emphasis in public education. Susan is a land conservation and sustainability advocate and a volunteer steward at a natural burial ground. She hopes to live (and die) in a way that has less impact on the Earth that sustains us all. Florida has several species of pines that produce resins in their quest to protect themselves from beetles and other pests. These complex defensive compounds offer healing remedies for humans as well. We will discover the history, chemistry, and artistry of resin medicine, including a discussion of healing actions and samples for sniffing, feeling, and tasting.